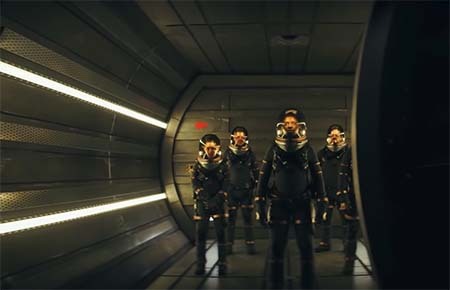 You are here: Home » MEDIA » Films » Nightflyers (Netflix SF series trailer). Here’s the trailer for Netflix’s upcoming Nightflyers series, based on the horror-SF novella by George R. R. Martin. Colonists wake up inside a failing starship and have to work out what is going wrong and what wants them dead. Hell, the universe, man. The whole universe wants you f^%^ing dead. I hope they’re not going to go all Tolkien on George’s oeuvre, and start turning poems he scribbled on the back of a piece of toilet paper into twenty-movie series just to milk the money cow.